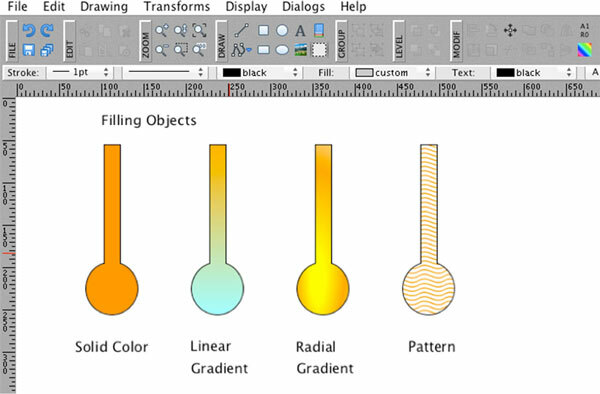 Graphic objects can be filled (or stroked) with a solid color, linear gradient, radial gradient, or complex pattern. 3. Choose a solid color, gradient, or pattern. Using gradients enables you to create your own custom color blends and give your objects a plastic look. 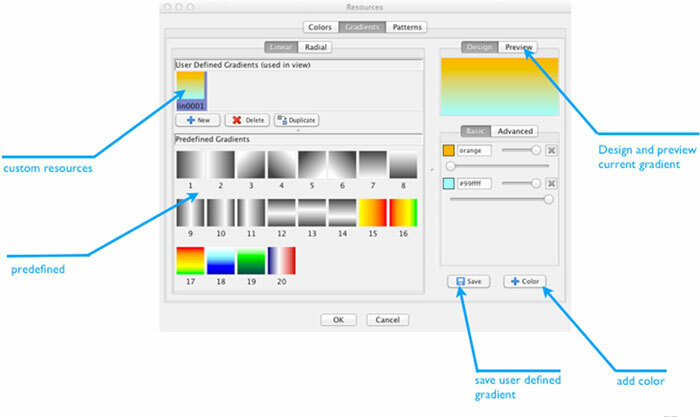 You can create smooth color gradations over one or more objects and save them for later use on other objects. 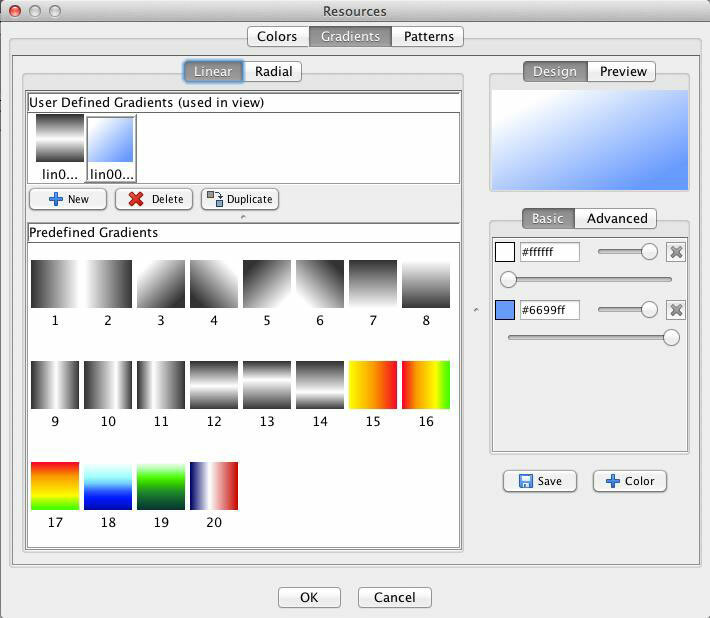 The Resources tab contains pre-defined linear and radial gradients and patterns. 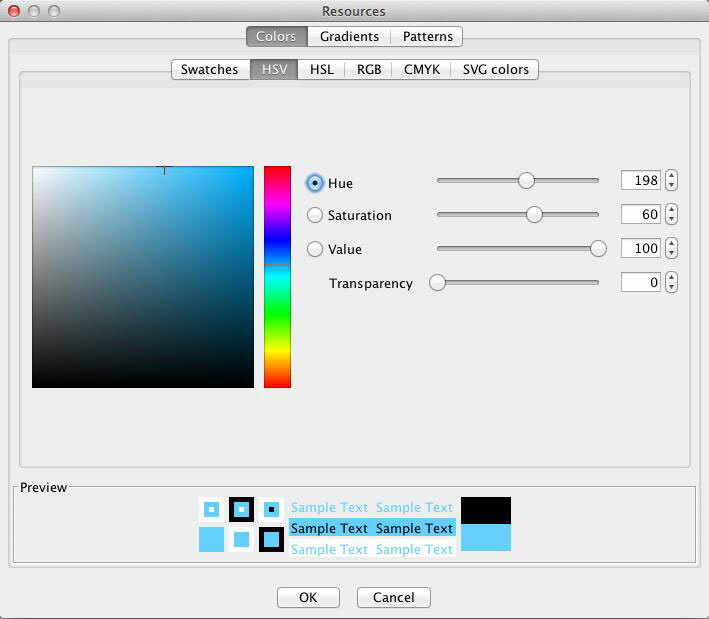 You may create new gradients and patterns or modify the existing ones. 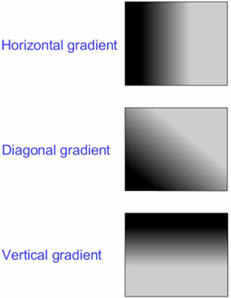 The linear gradient function enables you to create horizontal, vertical, and diagonal gradient fills. 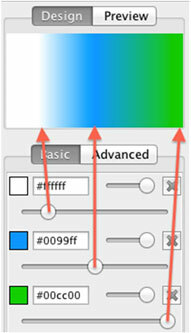 When you click on a pre-defined gradient, you will see its properties in the right side panel. You can see the gradient preview in the small top window, and if you click on the tab Preview, you will see how the object will look. 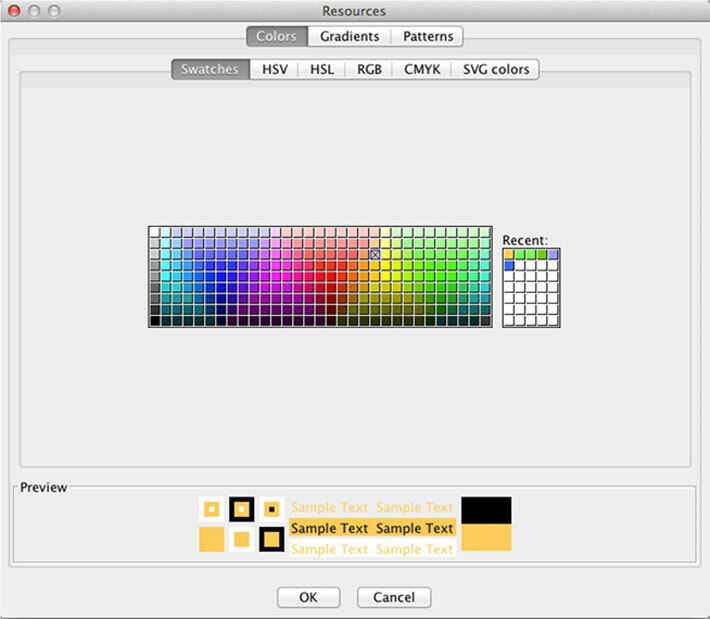 On the basic tab panel, each color has its own controls. 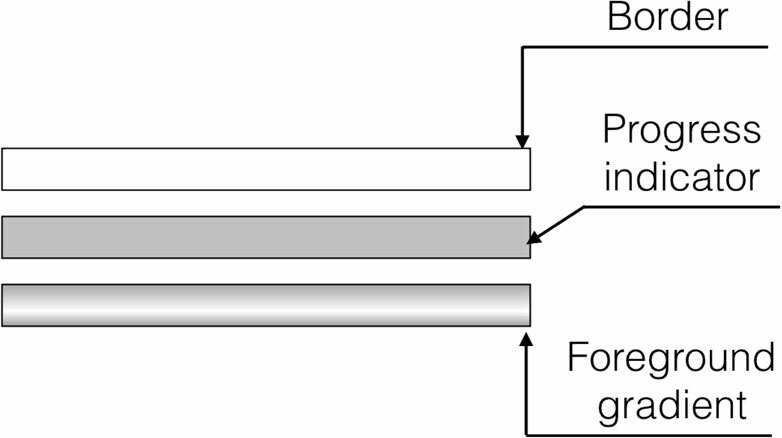 Position – specifies the starting point of this color. 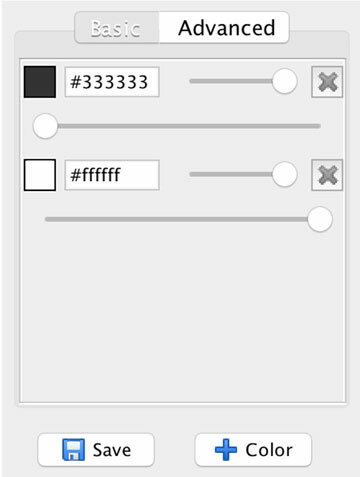 Move the slider to the side to change the color position. To remove a color, press the “X” button. To add a new color, press the + Add Color button. Different objects or images can be used as a pattern for other objects. 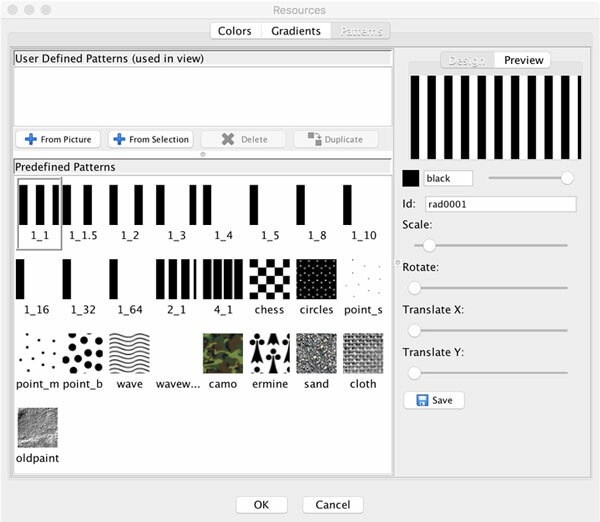 myDESIGNER lets you choose from pre-defined patterns or create new ones, either by modification of the existing ones or by importing a file (jpg, png, jpeg) or selection. 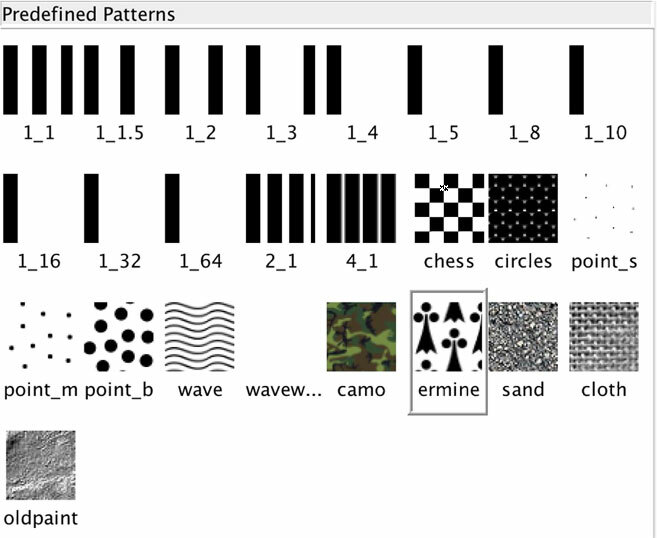 Patterns can be either raster images or vectors. If you use raster images, you might experience pixelation on tighter zoom, so if you can choose, use vector image where possible. 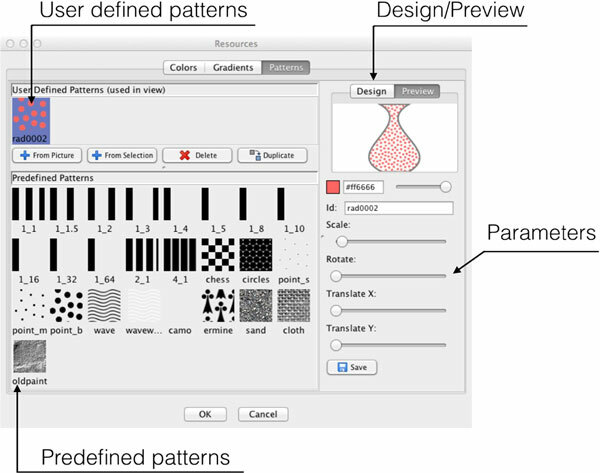 Predefined patterns are simple but effective patterns for you to use. 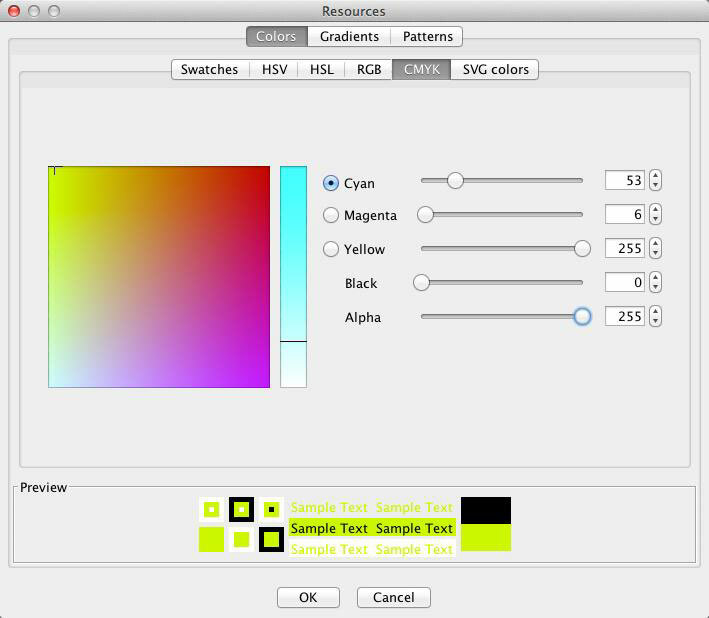 Please keep in mind that you can very easily change color or rotate gradients to suit your requirements. 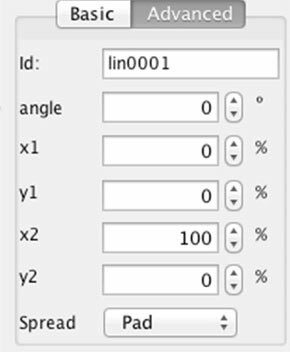 Usage is quite simple; select a pattern you wish to use, and if necessary, modify the parameters and hit the save button. All the patterns used in your view are listed here. 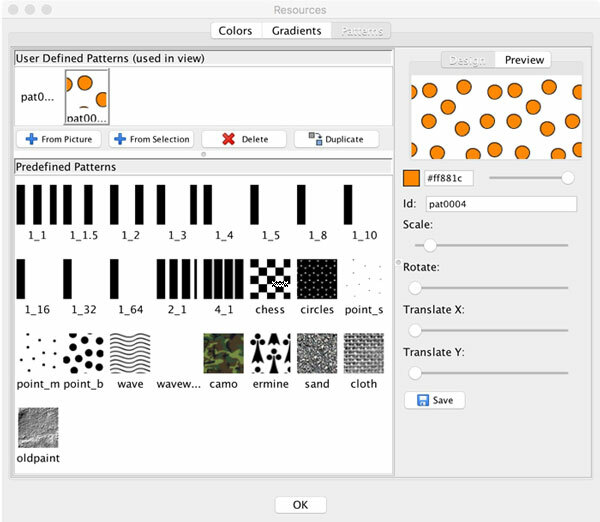 You can also create new ones from predefined patterns or import them from files or selections. To use a user-defined pattern, just select it and click on the OK button. 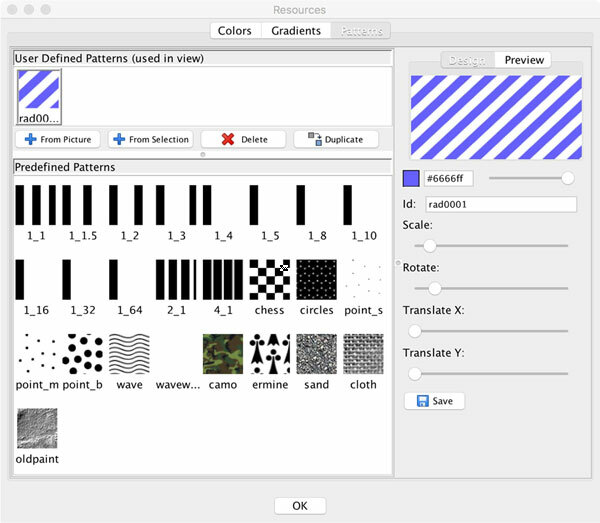 Buttons on the bottom allow you to create new patterns, either from a file or from a selection, as well as delete and duplicate existing patterns. Click on the + From Picture button and select the source raster image file in the dialog window, then click on the OK button. Click on the + From Selection button to create a new pattern from the selection in your current view. 1. 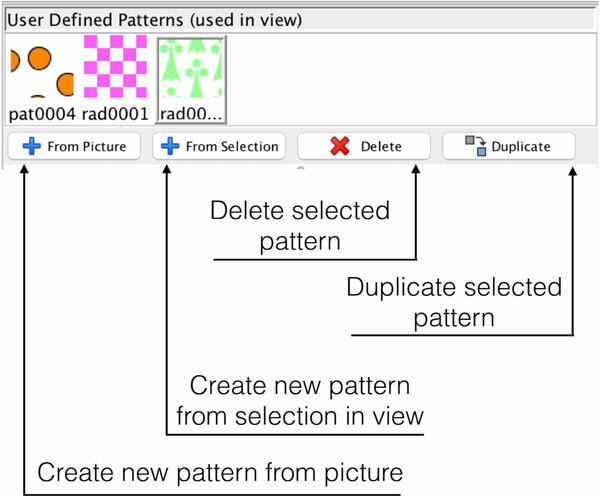 Draw the objects you would like to use as a pattern and select them. 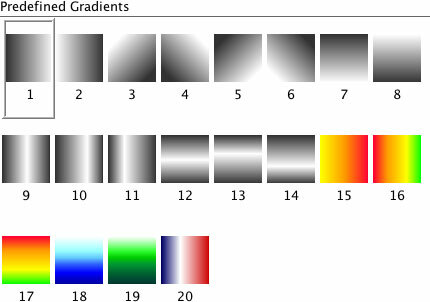 The parameters of the selected gradients can be easily modified. 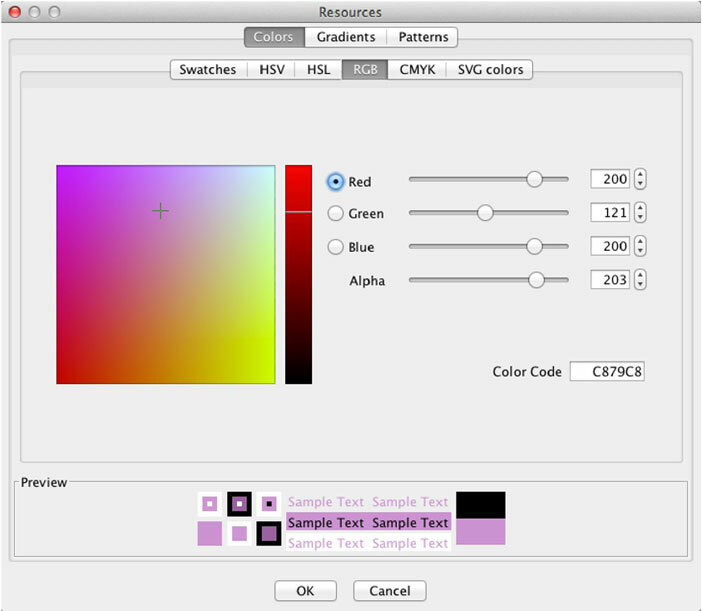 You can, for example, change the main color of the gradient, rotate, or scale it. Please find a list of parameters below, including explanations for each one. Unique ID of the pattern. Each object has its own unique id. You can scale the gradient so it appears smaller or larger. You might need to scale the gradient to fit your object’s size. You can preview the result in the Preview window. You can rotate the pattern to the desired angle. Move the position of the gradient along the X and Y coordinates. We will show you a simple example of how to use a pattern in your design. We will create a simple progress bar by using and modifying a predefined pattern. 1. First, we will create tree rectangles. The top one will be used as a border, the middle one will be used as our progress indicator, and the last one will be used in the foreground to give our progress bar a plastic look. 2. 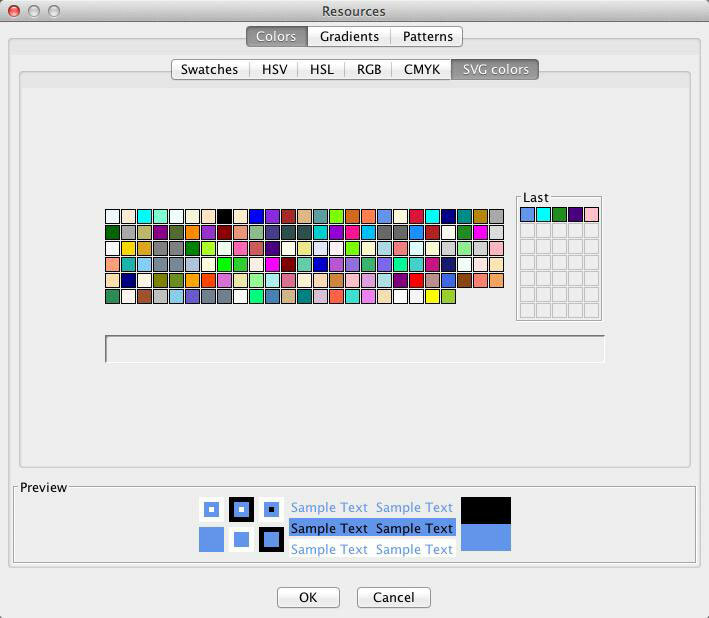 Now select the middle rectangle and click on the Colors, gradients, and patterns In the pattern section, select a bar pattern. 3. 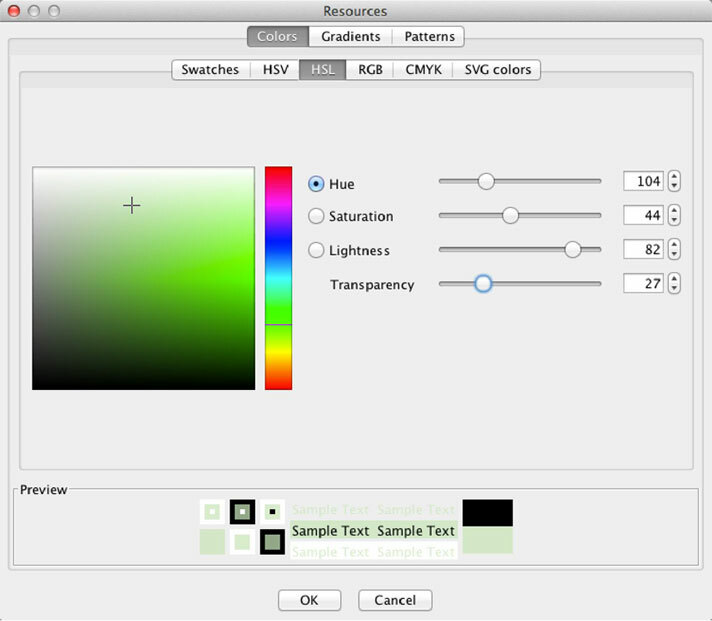 In the properties on the right side of the window, click on the color chooser rectangle and select a different color. 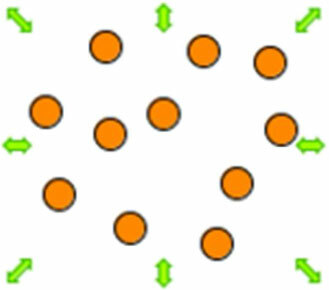 Then use the Rotate slider to rotate the pattern by 45 degrees. 4. Click on the OK button to apply a pattern to the rectangle. 5. Now put all of the rectangles together to finish the progress bar.